At Woodfield Glazing we pride ourselves on our customer service and quality. 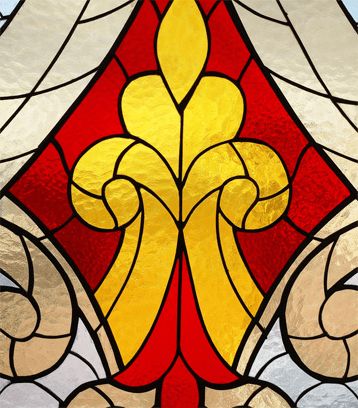 Designing, crafting and fitting quality stained glass panels and leaded light windows. We have completed projects, both traditional and contemporary, in both domestic and commercial settings. 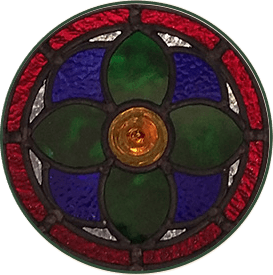 From the smallest panel, to the dome of the Kursaal on Southend seafront we produce only the very best quality stained glass. Stained glass simply refers to glass that has been coloured. 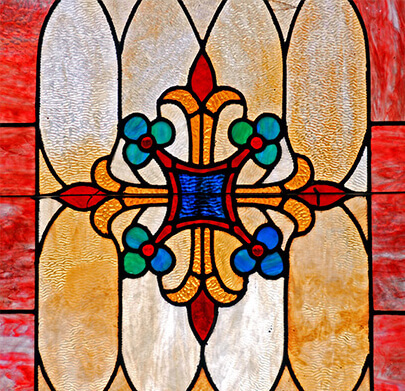 Stained glass offers owners of traditional homes the chance to enhance and diversify their homes in unique ways. Customers can use stained glass to cover up an unpleasant view, create a focal point for their home, or simply liven up an interior. Woodfield Glazing has worked on a variety of leaded lights and stained glass projects in different settings. As a result, we understand how to marry our leaded lights and glasswork with any contemporary building design. We understand how to blend the traditional with the modern to create truly beautiful designs that develop the character of your traditional home. 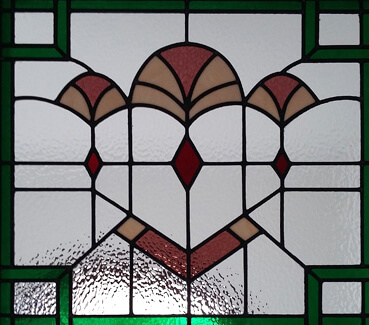 As well as period and traditional stained glass, we are also called upon to create contemporary designs. In modern homes stained glass can add a focal point, add accents of colour to a neutrally decorated home or office, provide privacy in door panels or divide open plan areas, without compromising space or light. Another growing trend is the use of stained glass panels in the garden to add structure and interest to landscaping designs. Our lead lights are constructed using many small pieces of glass which are then held together using a lattice of lead cames. The metal cames we use are all individually chosen, depending on the requirements of the glass itself. We handpick cames based on the complexity, size and weight of the glasswork we install. Our leaded lights are among the very best in the area around Essex, including Chelmsford, Benfleet, Leigh-on-Sea, Brentwood and Hutton. We supply our customers with leaded lights that have charm and an unrivalled design standard. And we provide our clients with our combined experience and expertise to deliver the very best stained glass possible. At Woodfield Glazing, we are proud of our professional service, and we will deliver the high-quality service you expect, no matter what the size of your project. Our team will always be available to help advise you on the cost, design and timetable of any project we undertake together.